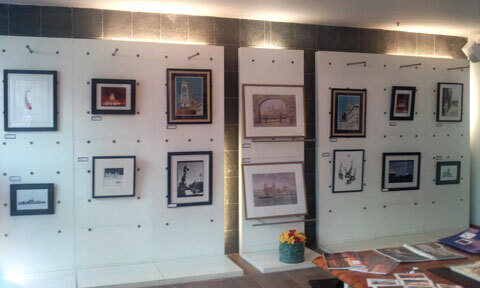 Home Art Review Mad About Liverpool at The Gallery, Clayton Sq. Mad About Liverpool at The Gallery, Clayton Sq. Are you Mad About Liverpool? 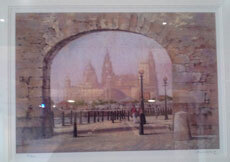 This Open Exhibition explores all art types looking closely at the City of Liverpool! Presented by Madelainartz. Venue: The Gallery, Clayton Square Shopping Centre. A good group show featuring about 20 artists, there are some fine watercolours in particular. Madelaine has done well to secure this high profile space in Clayton Square offering another venue for local artists. Work seems to be selling quite well, let’s hope it continues far into the future. There are also cards and prints for sale by some of the artists including the excellent Koi paintings by Gordon Lavendar, Ron Davies pictures of Gormley’s men and local scenes painted by Keith F Smith.